When you think of a spa, it’s likely that one of the first things that comes to mind is facials. It’s one of the most common and useful procedures at your disposal when you’re looking to improve your complexion. But did you know about all the different options you have? 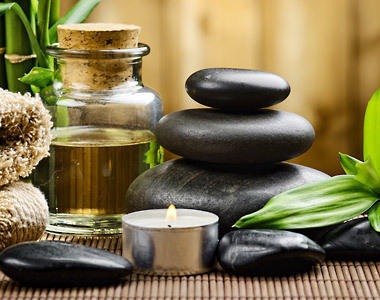 Here at Phamtastic Spa Escape, we have 12 treatments – so you’re sure to find something that works for you! Looking to reduce wrinkles? Try our Light Heat Energy laser process, or our Botinal Anti-Aging treatment. Worried about sensitive skin? You can’t go wrong with our Algomask with Soothing & Hydration. Are you trying to minimize the signs of aging? Take the plunge with Sea C Spa, Collagen 90-II, or Microdermabrasion. You can even target unsightly eye redness and puffiness with the Intensive Eye Zone option. Whatever facials you need, we’re here to help you get it! And you can be confident that our facial treatments are created with actual results in mind, and we have the science to back it up. We use active ingredients like glycols, peptides, and collagen that are clinically proven to have positive effects on skin by penetrating the dead outer layer and rejuvenating the younger cells beneath with the compounds and minerals that they need. We want you to walk away feeling refreshed and brand-new again! Keeping your hands off your face will greatly reduce irritation, redness, and the chance of infection. Use only light makeup if needed – heavy application can clog your pores and hinder your skin’s ability to breathe. Use warm water for cleaning, instead of hot water or steam. The heat is hard on your skin and will dry it out quickly. Sunscreen is your friend! Even the winter sun can age and damage your skin. By remembering these simple tips, you can keep your skin looking fresh for longer. And while you’re at it, getting facials done for a new season, why not go all in? We can help with removing unwanted hair around the eyebrows, upper lip, or chin. And to really top it off, nothing beats a stylish new haircut to showcase everything above the shoulders. One of our local favourite salons is Pepper Hair Haus in Marda Loop, who can help you look your best in any style you want. After all, there’s no time like the present to show the world a new, glowing you! Come visit Phamtastic Spa Escape at 101, 855 8 Ave SW and make this spring your best one yet!